The annual White Ribbon Day event, which also marks the International Day for the Elimination of Violence Against Women, saw supporters walk through the central business district of Bendigo on Wednesday, November 25, 2015. 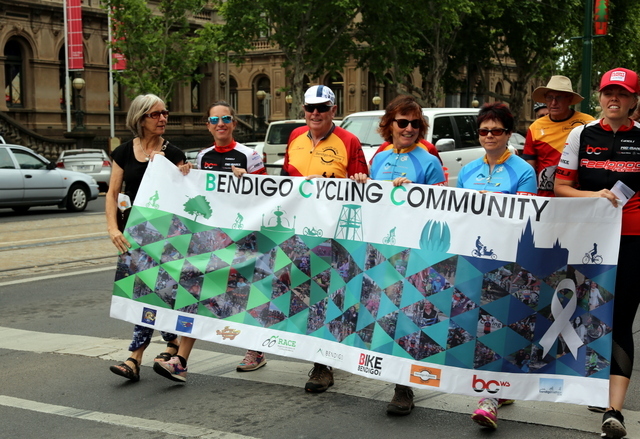 The Bendigo Cycling Community joined with many other individuals and community groups to highlight this national and worldwide campaign to address domestic violence against women. 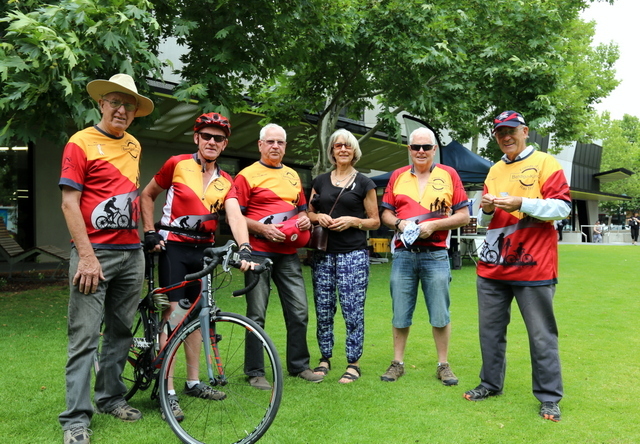 Representatives from the Friends of the Bendigo-Kilmore Rail Trail group marched behind the Bendigo Cycling Community banner in the 2015 White Ribbon Day Walk, to indicate their support in addressing this disturbing and hence important community issue.